There are usually Christmas lights in more than 390 locations and streets in Barcelona with illuminations covering about 60km of roads. And the tower Torre Agbar in the Sant Marti district is also part of the Barcelona Christmas lights with a special Christmas light show from 18:00 to 23:00 in December and until 5th January. The Magic Fountain of Montjuic will have a special Christmas water and music show in December which is free and can be seen on Fridays and Saturdays in December 2013 and on 25th December and 1st January between 19:00 to 21:00. The tower Torre Agbar in the Sant Marti district is also part of the Barcelona Christmas lights with a special Christmas light show from 18:00 to 23:00 in December and until 5th January. 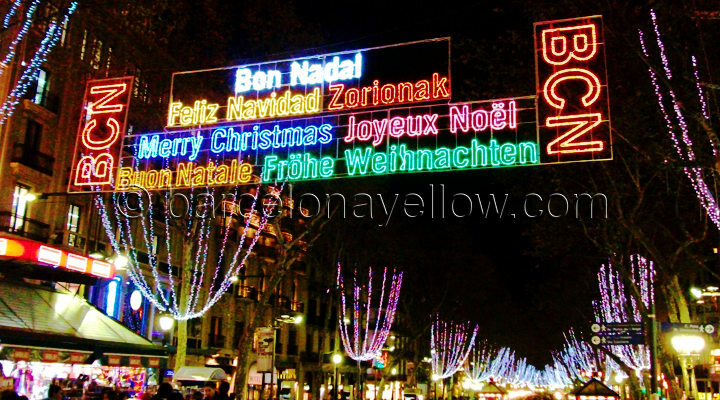 This entry was posted in What to do in Barcelona and tagged christmas, Christmas lights in Barcelona on November 17, 2013 by admin.